With the rise in trigger warnings and safe spaces on campuses, some students say their unpopular, sometimes controversial ideas are being silenced because of what they call political correctness. Others say free speech is being used to mask sexist, racist and anti-LGBTQ views. Kevin Arriola never thought of himself as an advocate for free speech — but then he found himself waging a court battle over it. "This really opened my eyes and made me realize that all speech should be protected," says the Ryerson University political science student who started the Men's Issues Awareness Society. "Today it's me that can't talk about men's issues and men's mental health. Tomorrow it might be another group." Women actually make up most of the group, which is confined to meeting in a tiny room that's more like a closet because the student union refused to give the group official status, saying it was anti-feminist and would make female students feel unsafe. With the rise in trigger warnings and safe spaces on campuses, where some students say their unpopular, sometimes controversial ideas are being silenced because of what they call political correctness. Others say free speech is being used to justify sexist, racist and anti-LGBTQ views. Arriola says his group is not anti-feminist or sexist. "I kind of came to the university thinking that it was a place where people could freely exchange ideas, push boundaries," he said. "But really it's just this padded room where everybody is trying to control a message under the guise of making everyone safe — which is BS, honestly." 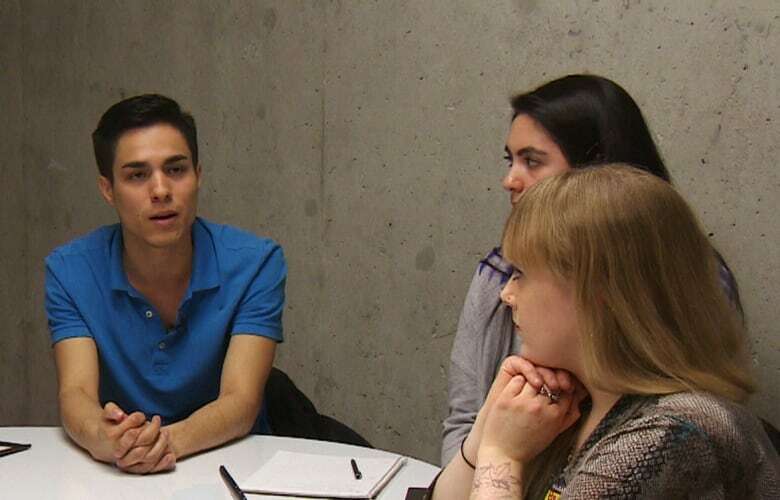 The student union did not respond to queries from CBC News. A similar battle is raging at the University of Alberta. Student Amberlee Nicol says security didn't act when protesters disrupted her anti-abortion group's information display in 2015. When she tried to schedule another event the following year, the administration wanted her to cough up $17,500 in security fees. "I feel like that amounted to censorship," she said. "If you put a price tag on free speech by saying the more controversial you are, the more you have to pay for security fees, that immediately shuts down discourse for people who are either too unpopular or too poor to have their voices heard on campus." The administration told CBC News that all campus groups have to pay for the cost of security if they hold an event where things could blow up. That's what happened in Berkeley, Calif., in February, when protests against a scheduled talk by far-right commentator Milo Yiannopoulos devolved into riots, and the event was ultimately cancelled. Some call it mob censorship. And it happens at Canadian schools, too. Student protesters pulled the fire alarm at a talk given by Rebel Media founder Ezra Levant at the University of Toronto last year. 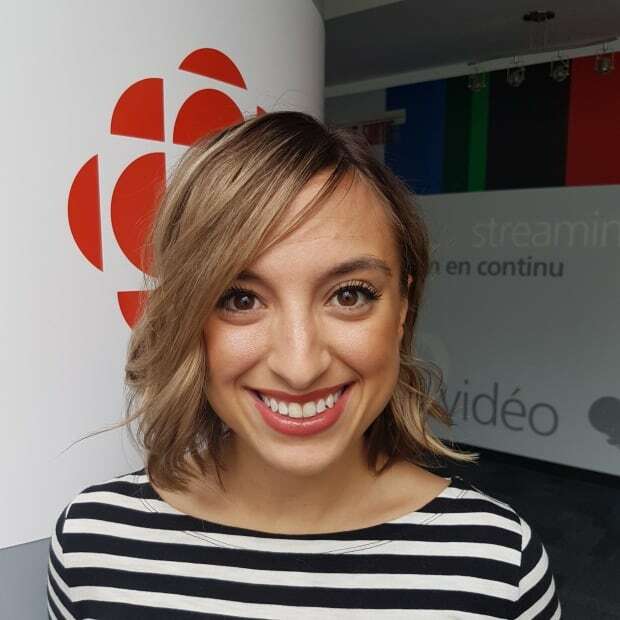 More recently, Danielle Robitaille, one of the lawyers who defended Jian Ghomeshi, cancelled a guest lecture at Wilfrid Laurier University, citing safety concerns after students vowed to protest her presentation. They said her presence on campus could potentially traumatize victims of sexual assault. U of T psychology professor Jordan Peterson knows what it's like to have campus events disrupted — his rallies are frequently the target of protesters for his views on free speech. 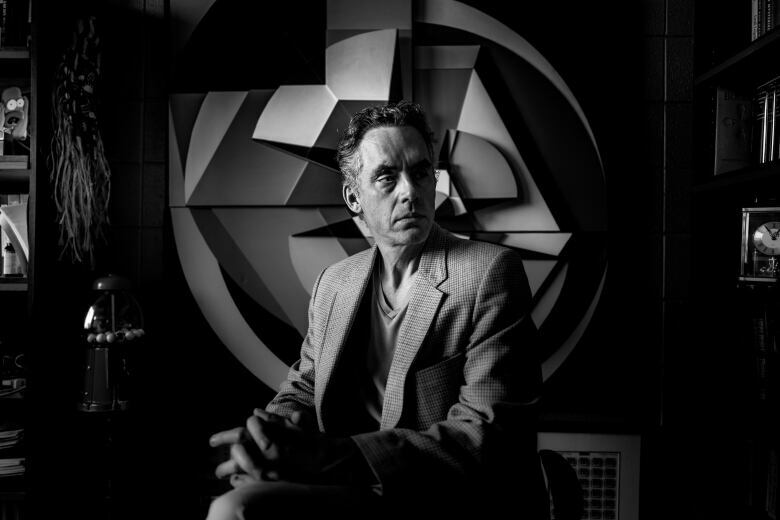 Peterson regularly speaks out against federal Bill C-16, which would make it illegal to discriminate on the basis of gender identity or expression. Peterson sees the legislation as a threat to free speech because it would force him to address people by their preferred gender pronouns. 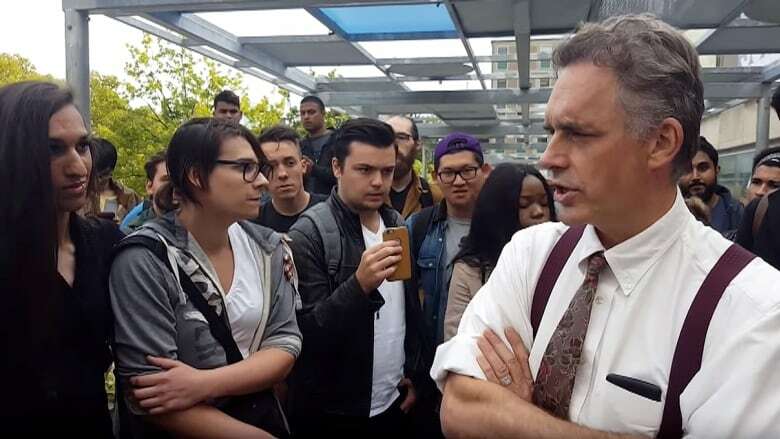 "It's the first time I've seen in our legislative history where people are attempting to make us speak their language," Peterson said at a rally at U of T in October. Cassandra Williams was at that rally and says some of Peterson's supporters were being blatantly transphobic. One student took to the microphone and went on a rant against transgender people, calling them mentally ill and unloved. Williams herself is transgender, and says free speech is being used as a dog whistle to give a legitimate platform to hateful messages. "It's just a lie, really, to claim that some of these things are free and like genuine debates," adding there is no obligation to consider someone's opinion if it is hateful or discriminatory. Free speech advocates label people like Williams the intolerant left — students who refuse to expose themselves to ideas that come up against their personal beliefs. But Williams says creating spaces where some ideas or speech are not tolerated is a way for oppressed groups to push back. "I think that's really funny, because the people who are being painted as snowflakes are quite often people who have struggled immensely in their lives," she said. "They are people who have experienced extreme marginalization and oppression, and they are people who are the most susceptible to violence of anyone in our society." Lawyer John Carpay says the Criminal Code covers them, just as it covers everyone else. "University should provide a safe space from assault, from physical harm, but not a safe space from feeling upset about ideas you disagree with," he said. "If you're calling for any person or group of people to be murdered or to have their houses burned down or to be robbed or assaulted, that's already illegal criminal speech. So there's already a healthy boundary there." Carpay, who founded the Justice Centre for Constitutional Freedoms in Calgary, is representing several students who say they've been censored on campus, including Arriola and Nicol, who are taking their respective administrations to court for violating their right to free speech. The JCCF publishes an annual Campus Freedom Index, which tracks incidents of what the organization considers censorship on Canadian campuses. "Well, it's in bad shape," he said, "and it seems to me it might get worse before it gets better."